This commentary first appeared in November 2014 on the PCLab blog of Poland [click on their logo to visit]. As is customary for our own reviews, the writer's signature at review's end shows an e-mail address should you have questions or wish to send feedback. All images contained in this piece are the property of Dawid Grzyb or Hegel. - Ed. Constantly pushing forward. Not even three months had passed since last I'd dealt with Hegel. And honestly, I had nothing against the refresher. This company is known for releasing big sonic upgrades wherein each new model performs audibly better than its predecessor. 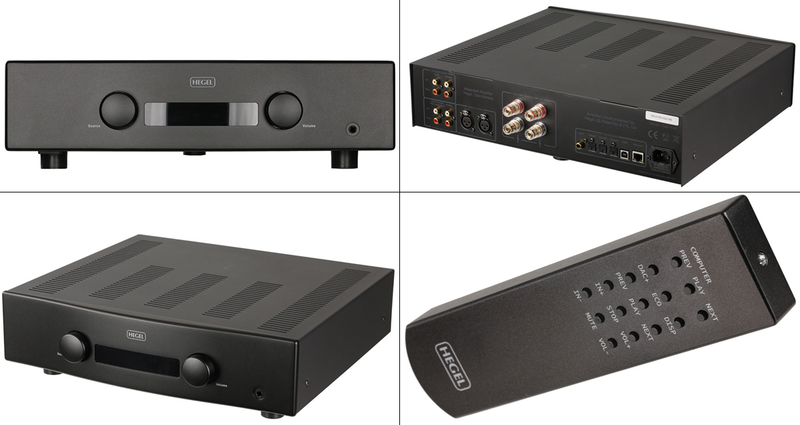 That was the case for the H70 being replaced by the H80; or with the HD12 DAC/headfi combo which had put the HD11 out to pasture. But today’s H160 doesn't really bump off anything in Hegel’s portfolio at least not in any obvious way. 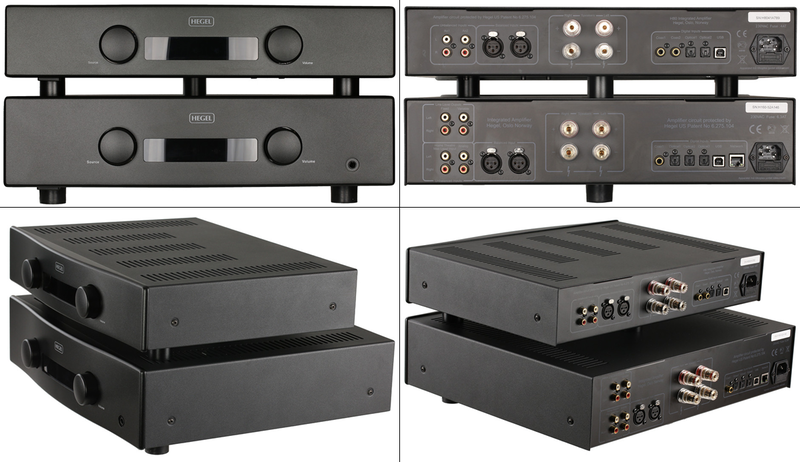 With it, the Hegel folks added brand-new functionalities to the integrated amplifier mix to try new things. "You know nothing, John Snow." My experience suggests how there aren't many audio companies which offer really big progress from one product to another when we think within a range. Usually changes are subtle and often merely cosmetic. Even if there are tweaks, it's often a purely functional address. Not with Hegel. These Norwegians couldn’t be bothered unless there were big sonic dividends. This was easily heard whilst comparing the H70 to the H80 or the HD11 to the HD12. I guess it reflects Bent Holter’s attitude. He’s the sort of engineer who seems never content to rest on his laurels. He always finds ways to improve something meaningful. From what I can tell, Scandinavian manufacturers in general pay attention to measurements. They treat them as markers on their road to better sound. So I guess 'Mr. Hegel' himself starts there as well. I'm sure that the opposite approach exists too where something has to sound good in the first place before some low-level technical engineering occurs. Everyone has their bag of tricks and their favoured way of doing things. To me it’s the end result which must justify my expenditures. What happens along the road to achieving these results is marginal in my book. It might be interesting from a geek perspective but in the end it's still anecdotal. None of us listens to specifics parts or circuit junctions, only to how the final product brings it all together. I was aware of the H160 coming down the pike well before any official press releases. As a happy H80 owner, I kept my ear to the ground. Any model designation exceeding 100 obliges Hegel to use a certain chassis. Based on that + 100 figure alone I knew that the H160 won't be a stuffed-to the-gilles H80 but bigger. What I couldn’t guess at was price, only that it’d by necessity be a lot higher than the H80’s ask. My first assumptions started at €3’000. The H160 had already disappeared the H200 from Hegel’s website and I had no idea why the H100 was still up there. To me it looks obvious right now that if someone were really interested in Hegel integrateds, they ought to spend a bit more and go for the new one. As Hegel lore proves, newer always means better. And this one has a few accoutrements no other Hegel product thus far offered. To be perfectly honest, I’d thus far not had any up close and personal encounter with Hegel’s big-boy stuff, at least not within my own four walls. Some fellow journalists used to chide me in the past by saying that if I hadn't at least heard the H200, I really knew nothing of Hegel. They were singing the same song again. But now the H160 is here, the H200 is out to pasture and the H100 probably destined for it shortly. Coincidence? I don't think so. Anyway, I had the H160 and H80 on hand. You just know what’d be next.